Is SplashLotto a Scam or Legit? Read Reviews! Deposit: Visa, MasterCard, American Express, Maestro, JCB, GiroPay, KIWI, Skrill, Neteller, POLi, Webmoney, Sofort, etc. Give me a break. Looking at SplashLotto.com, we didn’t have to dig into our records this time to see why it looked so familiar. We recognized immediately yet another clone of DaLotto.com, GSLotto.com and Lottery99.com (whoops, that one is gone) – they don’t even try to hide this as their email address is the same as DaLotto. Is there anything different here? 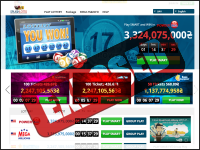 SplashLotto.com is an online provider that offers ticket lines for international lotteries. Players have the opportunity to choose either “Play Smart” or “Group Play”. “Play Smart” is simply buying straight lottery tickets. Well, that’s not all. You can opt to choose up to 20 (or 25 depending on the lottery) numbers per ticket line. Each time you add a number over above the regular amount of numbers, it is supposed to increase your odds. It definitely increases your cost per ticket line. Each of the lotteries offered is also available in group play. There is a ratio of 150 ticket lines with any winnings split between 150 shares. The ticket lines are picked randomly (versus using the ole one set of regular numbers and all the bonus combinations) and you get to see them online before you buy in. There are five combo packages players can choose from: American Platinum, Gold, Silver and Bronze, and European Silver. Each has a combination of continental lotteries over multiple draws. There is no information on the specific numbers or how they are chosen. Simply sign onto their site and you automatically get £2 of play though I couldn’t find anything that only cost that so to play you’ll have to add to your account. There is a “Welcome Bonus” of a group play though there is no information on what this is and it does say it’s SplashLotto’s choice. Same goes for the “Tell a Friend” bonus. SplashLotto.com gives 10% back as bonus on every deposit into your account. You’ve got 30 days to use your bonus to purchase more tickets or get in on group play or you lose it. Splash Lotto does collect your winnings on your behalf, though continuing through the small print, they say that you might have to do it yourself at your own cost. Any jackpot will come in the form of a lump sum even if there is an annuity option less any taxes or fees applicable. If your winnings are over USD 1 million (yahoo), Splashlotto.com takes a 10% commission. There is a minimum €25 (or the same amount in any other currency) for any withdrawal from your account. Oh, and the usual disclaimer of any charges or fees for the transfer to you. Though SplashLotto says on the face of their website they are owned and operated by One World Corporation out of Scotland, pop into the “Contact” page and it’s all DaLotto information. This goes so far to contradict their front page info with saying their website is owned and operated by Aqua Marketing Ltd. in England. There is phone number and email address (yes, dalotto.com), and they do have an answering machine where you can leave your phone number. Yes, it now works. Would you mind rating SplashLotto.com? The team did have a heap of questions, but the only way to get information is to register an email address and the last time we did this with these folks, we started to receive daily messages. We are not that interested in the answers. Is it Smart to Play Smart? These guys get a thumb’s down if for no other reason they couldn’t bother changing their contact page to reflect this new site. Sloppy, sloppy, sloppy! When you go to Lottoleader.com you get redirected to SplashLotto.com – and we all remember the Lotto Leader and their scam.